Explore Tanzania wildlife in Serengeti National Park and visit Lake Manyara on this 4 Nights 5 Days Northern Tanzania Wildlife Tour. Visit Tanzania with us. After early breakfast, check out and with packed lunches descend the down walls of the world’s largest caldera for a half day of game and sightseeing on the crater floor. A UNESCO World Heritage Site, the crater has global importance for biodiversity conservation due to the presence of globally threatened species, the density of wildlife inhabiting the area, and the annual migration of wildebeest, zebra, gazelles and other animals into the northern plains. Extensive archaeological research has also yielded a long sequence of evidence of human evolution and human-environment dynamics, including early hominid footprints dating back 3.6 million years. Here you have a chance to spot Lions, Elephants, Buffalos, Hippos, Cheetahs, Hyenas and several antelope and birds species. You will depart for Serengeti National Park in the afternoon and enjoy en route game viewing. Dinner and overnight stay at your lodge. 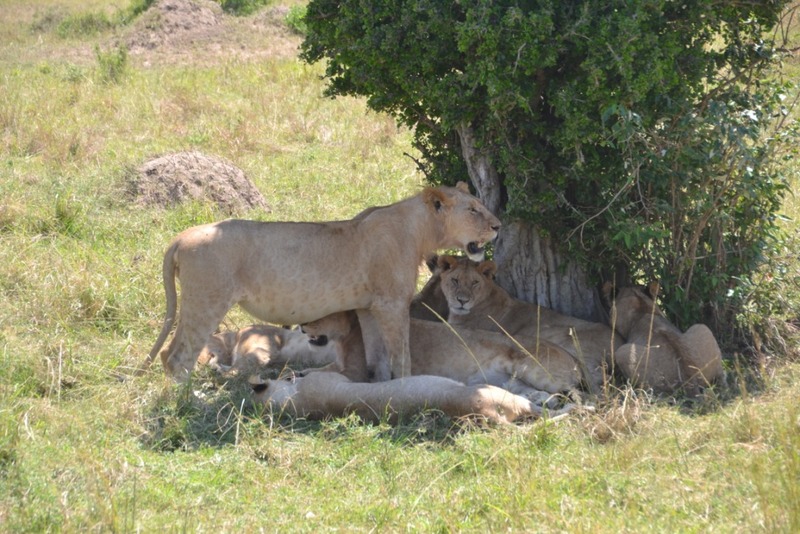 Day 3 – Serengeti National Park Early morning and late afternoon game drives in the vast park. Serengeti derived from the name “Siringet” which means endless plains in Masai Language hosts the Great Plains where the endless streams of wildebeest and zebra pour south towards Ngorongoro or north towards the Masai Mara during their annual migration. The park is home to the BIG 5 and other species including Hyenas, Cheetahs, Caracals, Serval Cats and several bovine species. It is also home to hundreds of bird species including vultures. Our game drives will cover the varied habitats and eco-systems of Serengeti. All meals and overnight stay at your lodge/ tented camp. Breakfast will be served. At 0730 hrs, depart for Lake Manyara National Park via the Ngorongoro highlands. Check in, and then lunch at your lodge. You will enjoy an afternoon game drive at the nearby Lake Manyara National Park until 1800 hrs. Lake Manyara National Park is situated spectacularly between the Great Rift Valley Escarpment and Lake Manyara. The most famous spectacle is the tree-climbing lions, which are occasionally seen along branches of Acacia trees. Lake Manyara National Park is also known for the flamingos that inhabit the lake. During the wet season they inhabit the edges of the lake in flocks of thousands but they are not so present during the dry season. More than 400 species of birds inhabit the park and many remain throughout the year. Dinner and overnight stay at your lodge. After breakfast, check out and drive back to Arusha where optional lunch will be served at a restaurant followed by optional transfer to either the Kilimanjaro International Airport or Namanga border. End of the 4 Nights 5 Days Northern Tanzania Wildlife Tour.